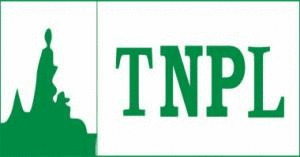 Tamil Nadu Newsprint and Papers Limited (TNPL) has published on their official website. It has released recently for various vacancies such as 03 Senior Manager/Deputy Manager/Assistant Manager/Officer. Now check below all details. Tamil Nadu Newsprint and Papers Limited (TNPL) is established by the Government of Tamil Nadu during early eighties to produce Newsprint and Printing & writing Paper using Bagasse- sugarcane residue, as primary raw material. The Unit I of TNPL at Kagithapuram, Karur (District) was commissioned in October 1985 with an installed capacity of 90,000 tpa of Newsprint/Fine Paper, with a single machine. Over the years, the Company has added two more paper machines, besides upgrading the Paper machines. The company has augmented the captive pulping capacity by way of installing new chemical hardwood line, upgrading the chemical bagasse pulp line and setting up a new deinked pulp line besides adopting ECF bleaching in all the chemical pulp lines. Simultaneously, the company has also been augmenting the power plant capacity to meet the steam and energy requirement of the expanded mill. Over the years, the Company has emerged as one of the largest bagasse based Paper Mill in the World with a production capacity of 4 lakhs MT per annum. All the three modern high-speed paper machines are capable of producing variety of Writing and Printing papers and are equipped with state-of-the art automation to ensure consistent quality. The Company is also characterized as a pre-eminent player having a world-wide creditability in the business of manufacturing paper from bagasse. Today, TNPL Unit-I is self sufficient in terms of power and pulp. Graduation details are:- Applicants of TNPL Senior Manager/Deputy Manager/Assistant Manager/Officer posts should have Chartered Accountant / Cost Accountant or 3 / 5 years Full time B.L Degree from a recognized University. Applicant of documents & experience certificates send to the General Manager (Corporate Technical Cell), Tamil Nadu Newsprint & Papers Limited, No-67, Mount Road Guindy, Chennai – 600032 Tamil Nadu on or before 18.10.2017.